Do you dump the files you download in your Downloads folder? Is your desktop cluttered with files and folders? Then it sounds like you should take the time to organize your files and folders. In this article, we’re going to share with you some best practices that will help you have an organized computer in no time. A disorganized computer is a pain in the neck for several reasons. The most obvious one is that everything is so difficult to find. 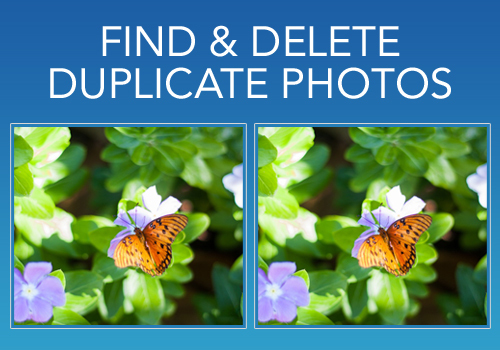 And if you have too many duplicate files, then the Search feature won’t help either because a search will return several copies of the same file. That’s particularly annoying when you need to edit a document for work or school and can’t find the right version. Organizing your stuff will help you increase your productivity so that you’ll have more time for doing the things you enjoy. Another reason why a disorganized computer is a disaster is that having files and folders all over the place slows down your PC or Mac. The more files are dumped on your desktop, the more RAM is consumed. Freeing up all that RAM will speed up computer performance. Now, everybody has different habits so organizing your files is a bit like organizing your home. Nevertheless, there are some hacks that work for most people. One of the best ways to organize files on your PC or Mac is to sort them by subject. You can do that by creating different folders, like “Travel”, “Work”, “Movies” and so on. Your computer already does that – just make sure you create all the relevant subfolders in your “Documents” folder and keep your downloads sorted at all times. Another good way to organize your files, photos and videos is to create folders labeled with a date. For example, photos from your 2016 Florida vacation could be kept in “Pictures” – “Travel Photos” – “2016” – “Florida”. That does look complicated in an article but you’ll be amazed how organizing your files like that will help you find everything quickly. Now that your files are organized in folders and subfolders, you should scan your computer with a reliable duplicate finder. Doing that will help you locate and delete unnecessary copies of your documents, songs, photos, videos and other files. Just think how much disk space you’ll be able to free up! Plus you’ll never bump into two exact files again. Make sure you scan your computer with a duplicate finder on a regular basis to prevent duplicate files from building up. And now the most important bit. Your computer will become disorganized very quickly if you don’t keep things organized. So don’t start saving files to your desktop again and move them to the right folders instead. Copyright © 2017 DuplicateFileFinder.com. All rights reserved. Disclaimer: like most sites on the Internet, this website may contain affiliate links.